In the world of professional wrestling, there are a variety of roles. For many people, who aspire to be a part of the professional wrestling world, they believe their only option is to become a wrestler. Well, when I first started my “career” in the professional wrestling industry, I had the same mindset. I took my beatings, bumps and bruises thinking eventually it would lead me to a contract with World Wrestling Entertainment (WWE). However, wrestling, just like life, is never how you expect it to be. I was a scrawny 150 pound uncoordinated mess in the ring and quickly realized I would be lucky to get booked in an opening match on a small card let alone in any facet as a wrestler in WWE and that was when my whole mindset on wrestling changed. In early 2008, I began looking for alternatives in the world of professional wrestling and the first thing that caught my eye was refereeing. I went to the local promotion I had been following and asked if they needed any officials. I had never trained a day in my life as a referee and had very little idea on the finites of the job of a referee. However, on that particular night in May, they were short on referees and “Jay Stone” was born. It took me nearly six months of refereeing to realize that I needed to pursue more training. So I found a school in my general vicinity, almost 300 miles round trip, and I trained as a referee. It was like a light bulb went off in my head. After all those months and years of taking severe punishment, I realized my calling was of a referee and it has been bliss ever since. In 2009, I officially began working more than once a month and learned the proper ways of the business along with the proper attire and etiquette in the ring. See, for many people, they believe that refereeing is simple and can be done by any kid in a striped shirt and pants. However, that couldn’t be farther from the truth. Refereeing is being the third man in the ring; it takes a certain set of skills and understanding of the sport. Sure, being a wrestler first, helps a lot with positioning and understanding when someone is going to go for a pin. But the essential functions of a ref are: 1) staying out of the way, 2) making sure the wrestlers are healthy enough to be able to continue with the match and 3) being in the right position at all time. 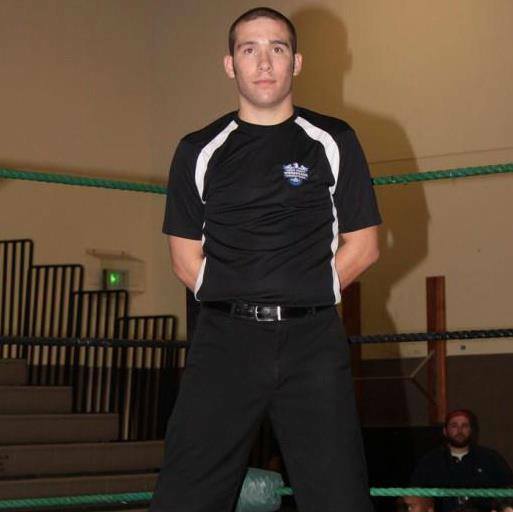 I have had the pleasure of training under some of the best in the business in my almost 6 years as a referee and have been able to travel all over the United States. It is a very different story for referees and well, pretty much, anyone who is not a wrestler in the locker rooms and venues that hold professional wrestling shows. You are second fiddle on the show and you have to be able to understand that no one is there paying to see you. They are there to see the talent that is involved. It is a very humbling experience in that respect, but for me, it is a comfort zone. I am not the center of attention; I am a part of the show, without being the whole show. It gives me the ability to see and watch and enjoy while still being in the ring. In my mind, it is the best of both worlds. I look forward to keeping this column going on a bimonthly basis discussing my travels and day-to-day life as a referee. Until next time, I am Jay Stone, “ref-resenting” for all wrestling referees. Add Jay Stone on Facebook.